The Storm Crow Tavern is Planet Hollywood for geeks, or a sports bar for nerds: a place where gamers, sci-fi and fantasy fans can hang out, drink a tasty microbrew and nosh on tasty edibles.Bring your own board or card game, or borrow one from our extensive library. We’ve got almost everything that you could want including several editions of Cards Against Humanity, and maybe even a few old boxes of Mastermind. There’s no endless sports broadcasts here… we show only classic science fiction, fantasy and horror films on our bigscreen TV.Located in Vancouver’s eclectic Commercial Drive neighbourhood, The Storm Crow is a meeting place for anyone who loves great food, excellent libations, and fun times in an unique and vibrant atmosphere. Drexoll Games: Serving Vancouver since 2002, Drexoll Games specializes in non-electronic games for all ages and interests.We stock over 1,000 board games, plus collectible card games, collectible figure games, roleplaying books and accessories, and classics like chess, GO boards, and backgammon. 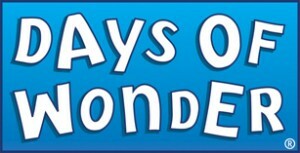 We carry board games, card games, party games, trivia games, dice games, game accessories, clay poker chips… and more. We have several games open for you to demo in our game lounge. Whether you’re looking for a 2-player game, a party game for 10 people, or family games for kids and grown-ups, we have many options. Visit our store and you’ll find friendly staff who love games and want to help you find your next favourite. R&B Brewing Co. An East Vancouver original. Brewing such legends as Raven Cream Ale, Sun God Wheat Ale, Red Devil Pale Ale, Hoppelganger IPA and many other fine beers. R&B Brewing will be providing all the beer for the convention. Tasty Minstrel Games is a board game publisher based in Tucson, Arizona. Some of their fine games include Belfort, Eminent Domain, Homesteaders, Terra Prime and many others. North Star Games designs games that both gamers and non-gamers can enjoy together over the holidays. Their goal is to create games that are simple enough for non-gamers, have enough strategy for gamers, and generate a liberal amount of laughter and cheering. Look for North Star Games events at TCTC 2014. Bully Pulpit Games is a small-press publisher of high quality role-playing games and game-related products based in Chapel Hill, North Carolina and run by Steve Segedy and Jason Morningstar. We started Bully Pulpit in 2005 with our friend Patrick Murphy because we wanted to share our work with a broader audience, promote independent gaming, and fund our various projects. Look for their hit game Fiasco to be featured at TCTC 2014. The Fictionals are one of Vancouver’s hottest improv comedy troupes, performing hilarious sold-out shows around the city inspired by and featuring comic books, pro wrestling, burlesque and of course video games! They are best known for their smash-hit, award-winning Improv Against Humanity, happening the 3rd Wednesday of every month at The Rio Theatre, and their Hot Improv Tuesday comedy shows at Cafe Deux Soleils every Tuesday night! 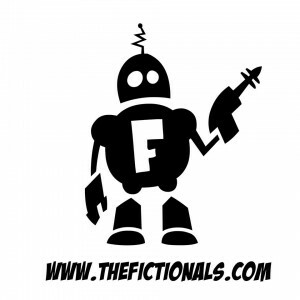 Terminal City Tabletop Convention is excited to have The Fictionals perform a brand new gaming-inspired show on Saturday Night. It is an interactive improv show, so come down to take part for your chance to win some sweet prizes! 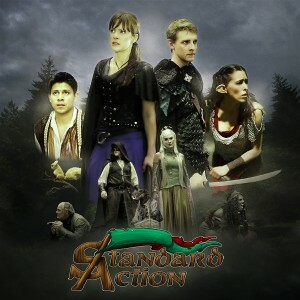 Standard Action is the locally-filmed fantasy-comedy webseries for geeks of all kinds! It follows four misfit adventurers who can’t quite find their place in normal adventuring society. Excluded and alone, they find each other, and set out on a quest that will test not only their fellowship, but everyone’s perceptions of what a hero should be! 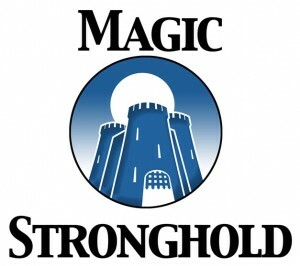 Standard Action has two seasons online to view for free, and their third is currently in production! Full of tongue-in-cheek humour, Easter eggs and nerd culture references, this show caters to anyone who’s ever been part of a fandom, and anyone who’s ever found themselves rooting for the underdog.